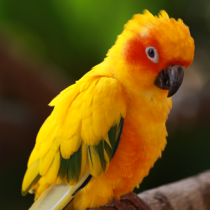 Exotic pets come in all shapes and sizes and here at Jubilee we aim to help you give the best possible care for your pet. We are the veterinarians for Belfast Zoo having been involved with the zoo since the 1970’s. We are also the veterinarians for many other collections both big and small including the Wetland and Wildfowl Trust at Castle Espie. It is not just the vets who have an interest in exotics and many of our other staff are also involved, both owning and treating exotics, and two of our nurses have completed the City and Guilds Exotic Pet Certificate. 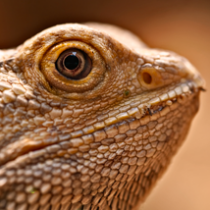 As there are many different exotic pets we need a wide range of equipment and accommodation to treat these patients. We have vivariums for reptiles and amphibians, aviaries for birds, an intensive care chamber for use by a multitude of species, an aquatic terrapin tank and facilities for small primates. We are able to nebulise your pet when required and our nurses and vets are very experienced in providing supportive care to sick exotic patients. We also undertake microchipping and surgical orthopaedic procedures. We have a small animal ventilator to increase the safety of our anaesthetised patients. For more specific species info please click on the link below.